Located at the crossroads of beautiful New England and sophisticated New York City, Western Connecticut State University offers 50 undergraduate degree programs so you can choose from a wide range of the highest-quality, most career-oriented academic courses. You’ll learnfrom accomplished faculty in world-class facilities with access to state-of-the-art technology—and you’ll gain the foundational knowledge, professional training, and critical-thinking and communication skills essential to success. Highly accomplished in various disciplines, WCSU professors make the most of our University’s advantageous location. 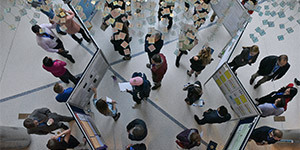 Whether bringing Artstudents to visit world-famous museums, leading Business students onWall Street tours, or involving Sciencemajors in important field research,our instructors make sure that students observe firsthand how the facts, concepts, and techniques learned in classes, studios, and labs are professionally applied. Our Kathwari Honors House offers innumerable opportunities for the University’s most exceptional students, including, in some cases, merit scholarships. With our outstanding educators and small classes, WCSU majors and concentrations give you the skills and knowledge demanded by 21st-century employers. Because the active business, health, and commerce centers of Danbury and other cities are so accessible, our Career Success Center is perfectly situated to help you gainvaluable work experience with internships and co-ops. We offer students many opportunities to work on campus for credit or for pay—and great experience for your résumés. We have a vibrant, engaged alumni community, many of whom are eager to mentor and hire the next generation of WCSU graduates. The Ancell School of Business informs students’ business acumen and develops the skills required for success in corporate, entrepreneurial, financial, law, philanthropic, and other business areas. Professionals from local, national, and international firms interact with Ancell students,faculty, and staff through forums, lectures, and mentorships. Ancell programs are taught by respected faculty, many of whom currently practice what they teach, whether as attorneys, accountants, entrepreneurs, or others. The Macricostas School of Arts and Sciences is home to 13 departments, 18 undergraduate majors, and five graduate majors. Students acquire a base of general knowledge before delving into their desired disciplines. Macricostas students win Fulbright awards and graduate school scholarships andare accepted to graduate programs in medicine, law, teaching, and more. 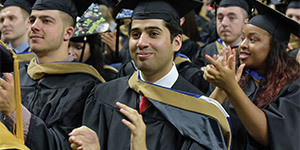 The School of Professional Studies prepares students for exciting andfulfilling careers with undergraduate degrees in Education, EducationalPsychology, Health Promotion, Nursing, or Social Work; master’s degrees in Nursing and Education and Educational Psychology; and doctoraldegrees in Education and Nursing. Courses of study are based on the liberal arts and integrate theory and practice by providing rich classroomexperiences, nursing simulation labs with the latest technology, and applied internships. The School of Visual and Performing Arts, accredited by the National Association of Schools of Theatre, offers a conservatory-level education at the affordable cost of a public university. Only 60 miles from downtown New York City, our state-of-the-art studio, recording, and classroomfacilities provide professional-leveltraining for musicians, music educators, artists, and performers—andour performance center draws enthusiastic audiences to award-winning shows. Instructors regularly record, perform, and exhibit in nearby Manhattan and throughout the region. WCSU is a member institution of ISEP, so our students can study at member universities at no additional price beyond what it costs to attendWCSU. Students spend semesters atuniversities all over the world, attend faculty-led short courses abroad,and spend semester breaks on service learning activities around the globe. Theatre students make biannual visits to Edinburgh Festival Fringe, and some are invited to attend the national Kennedy Center American College Theater Festival in Washington, DC, where our musicals have won awards for acting, directing, and production. Students who choose to live on campus are housed in six residence halls. Safe and comfortable, with 24/7 University Police presence and full security systems, accommodations rangefrom classic dorm room living to full apartments. Students can have their cars on campus, where there is free parking, but there is also continuouscomplimentary shuttle transportation between campuses. Student clubs and athletics are a greatpart of the WCSU experience. Activities include an active Greek council, a campus radio station, and many social and academic-based student organizations. You’ll enjoy learning at ourobservatory and planetarium, exploring the 350-acre nature preserve on our Westside campus, and having fun at outdoor concerts, performances, and food festivals at the Ives Concert Park. With Colonial Chuck as our mascot and spirited fans to cheer them on, the NCAA Division III Colonials meet challengers on home courts and fields, in the 2,500-seat stadium ofour Athletic Complex, or away at rival schools. At Midtown, you’ll find the Colonial Fitness Zone and the Bill Williams Gymnasium, which is host to intramural leagues. Our Westside campus is home to the William A. O’Neill Athletic and Convocation Center, which houses a six-lane pool, four full courts for basketball and volleyball, and a fitness center. The Westside Athletic Complex has three spacious practice fields and six lighted tennis courts. WCSU offers in-state tuition for students from the New York counties of Putnam, Westchester, Dutchess, Orange, Sullivan, Rockland, and Ulster—and a warm welcome and world-classeducation to students from around the country and globe, including veterans and students with unique educational needs. WCSU is accredited by the New England Association of Schools and Colleges, Inc.; the Board of Governorsof Higher Education, State of Connecticut; the Connecticut State Department of Education; the American Chemical Society; the Collegiate Commission on Nursing Education; the Council on Social Work Education (baccalaureate level); the Council forAccreditation of Counseling and Related Educational Programs; the National Association of Schools of Music; andthe National Association of Schools of Theatre. WCSU is an affordable public university with the qualities of New England’s best small private colleges.